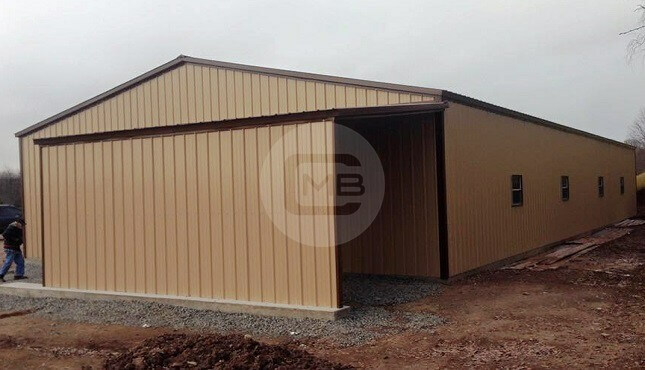 Metal buildings have caught the imagination of people across America with their sturdiness, cost-effectiveness, and versatile usage. 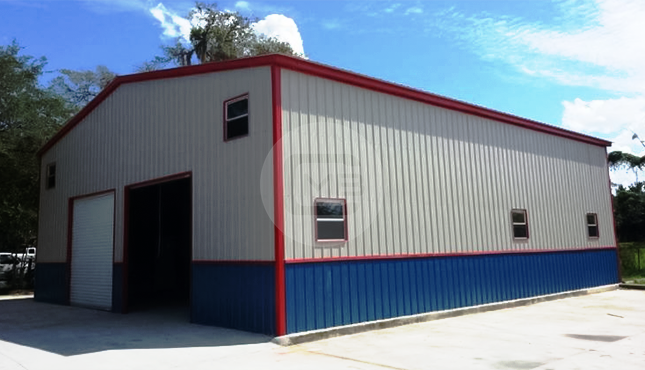 A 40’ X 40’ steel building offers you 1600 square feet of space, which is great for a wide variety of residential and commercial uses. 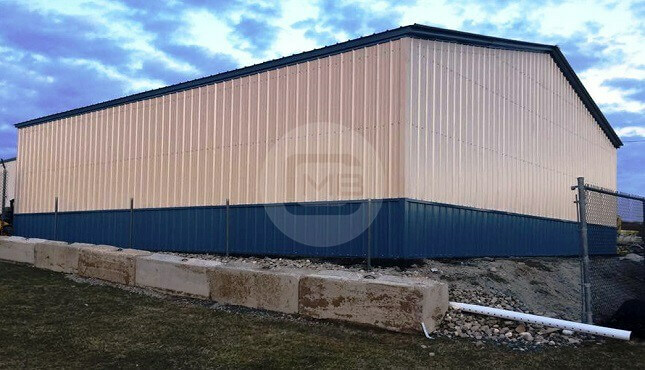 While our 30’ X 50’ buildings offer equal space, there are advantages to a square metal building over a rectangular one. If you’re a car lover, you can park your cars and trucks two-deep and house six vehicles. 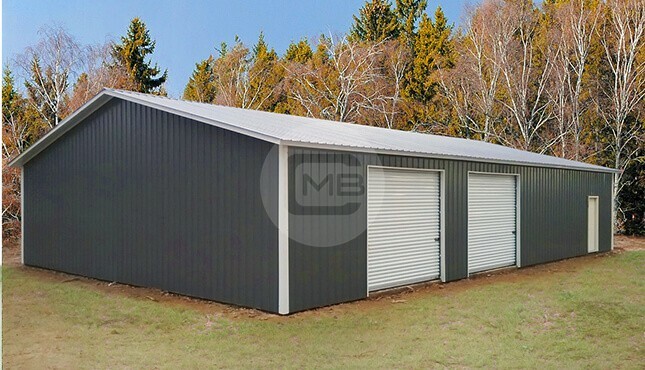 Alternatively, this 40’-wide metal building can also be used to create a general storage area in the back while parking your vehicles in the front. 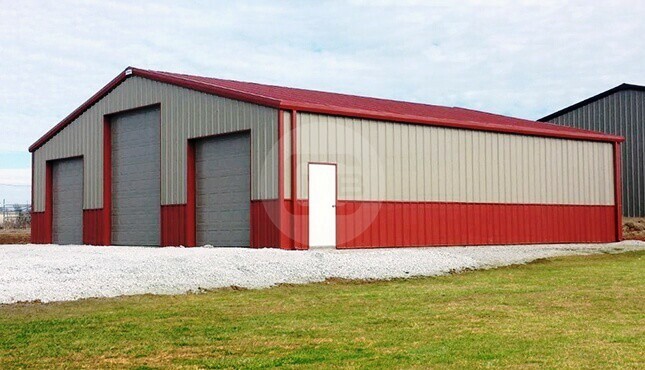 The beauty of our 40’-wide metal buildings is that we can design them at any length. We also offer a leg height of up to 20 feet, which is tall enough to accommodate almost any vehicle except big planes. If you have a camper or two that you want to stow securely, a 40’-wide commercial RV garage may be one of the best investments you can make this year. 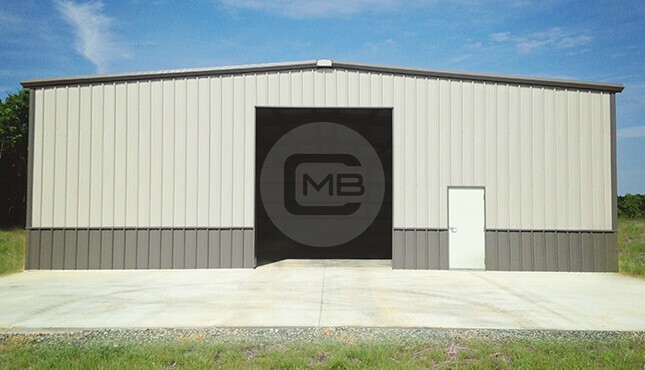 There are many possibilities, and the square metal building can offer you a great return for your investment. Having a home office or guest room above the garage and still having space to park your motorhome is very much possible, and it’s something we’ve actually done for our customers. Auto repair shops come to mind when discussing a 40’ X 40’ metal building. 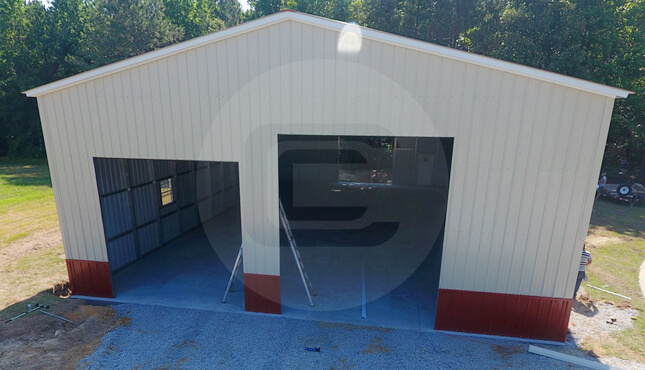 If you have an existing auto shop and are planning to expand your operations, this building can offer you some great possibilities. Alternatively, for a mechanic who wants to start a new business, this building provides a cheap solution. With three car bays going two cars deep, your auto technician team can repair up to 6 cars at a time. 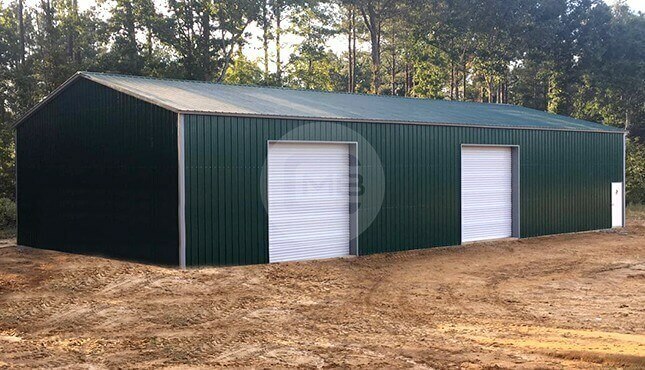 Another option is to raise the height of the eave to create multistoried tire shops, equipment repair centers, or even a saloon with reception area. It is not uncommon for our 40’ X 40’ metal building customers to have 6-8 client workstations in their day spas; this building gives them room to grow their business! Our farming industry friends, cattle ranchers, and chicken farmers get better protection from severe storms, devastating fires, crushing snows, howling winds, disgusting mold, and dangerous lightning than a comparable stick-build structure can provide. 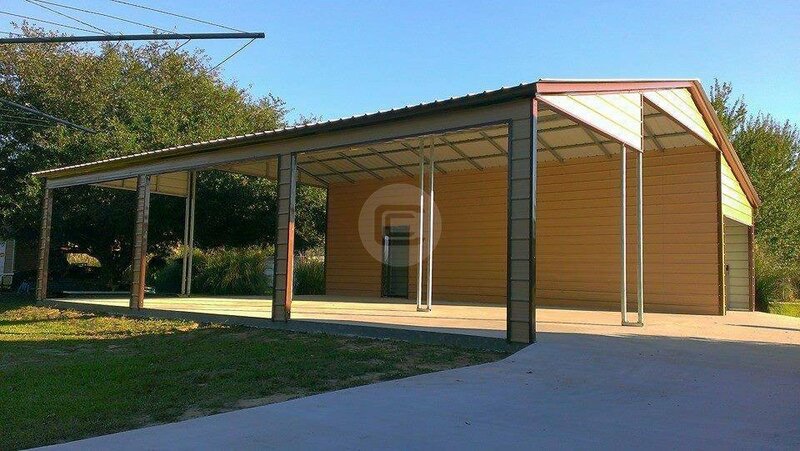 All this is possible with our engineered metal buildings that have shown time and again that they can stand the test of time. 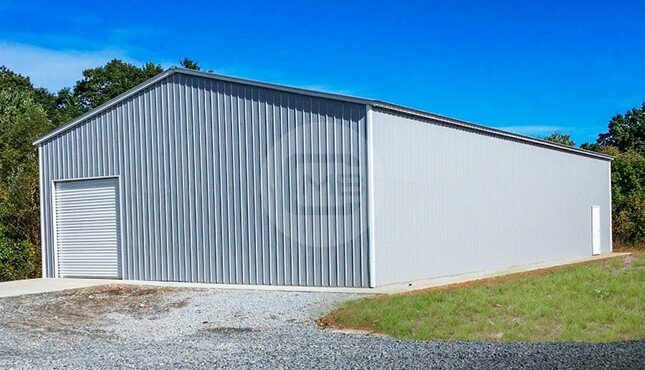 This square metal structure works well as a metal barn, hay shed, storage facility, or as a shelter for cattle or horses. Whatever your needs, give us a call at (980) 321-9898. Our friendly and knowledgeable metal building specialists will be happy to assist you in the selection of the right building for you and at a price that will fit your budget!